Buy a Jacket. Practice Your Archery. Get Your Axe Restored. Occasionally, your quest for original attire takes you to some pretty strange places. Like a secret, signless store cloaked in the dark shadow of a dingy overpass. Which is where you'll find Front St., the just-opened shop from burgeoning label Endovanera. Pronounced "end of an era"—so subversive, these fashion people—the line began attracting attention last fall. The next step, of course, was to set up shop in a run-down(and thus officially credible) Echo Park building—a small"1154" above the door is the only confirmation you're in the right spot. 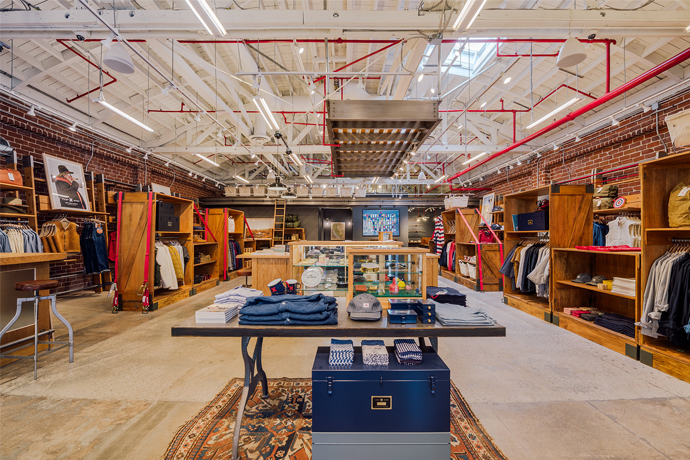 Inside: concrete floors, salvaged light fixtures and just a few minimalist racks of the well-cut basics a rock star might wear to a business meeting—grey vests, slim black pants, well-cut black-and-white button-downs and military-inspired coats. If you see something you like but it's not quite right, the on-site design studio, behind the white curtain, is filled with Japanese fabrics and Italian denim for all your customization needs. The proprietors can recreate that military coat in a different color, for example, or build a pair of jeans from scratch. So you can stand apart from even those who stand apart.